Email marketing is by far one of the best ways to generate an influx of traffic to your website or offer. Whenever you have a new product or service, you can simply email out to your list of subscribers and get instant sales. It sure beats waiting months for organic traffic from search engines. Not to mention, the fierce competition you’re up against. An autoresponder system is a must for any serious online marketer. If you’re not building your list, then you don’t have a proper business. Consider autoresponders such as TrafficWave, GetResponse and the Add2it MailResponder Pro system for your autoresponder. 1) Take advantage of the autoresponder sequence feature. As obvious as it sounds, not many online marketers make use of this feature. Most simply use the broadcasting feature to send a one-off email to their list. Get into the habit of adding at least one new autoresponder message a week. In a year, you’ll have 52 messages pre-loaded and ready to be sent to your subscribers. This is great news because your subscribers will stay active to your newsletter and will not forget who and why they subscribed to your list. The last thing you want is your list to die off. You can pre-load any message you want but a good guideline to follow to one content, one promotional alternating each week. You don’t want to promote all the time otherwise you’ll simply lose that trust from your subscribers. 2) Click-tracking and conversion tracking. 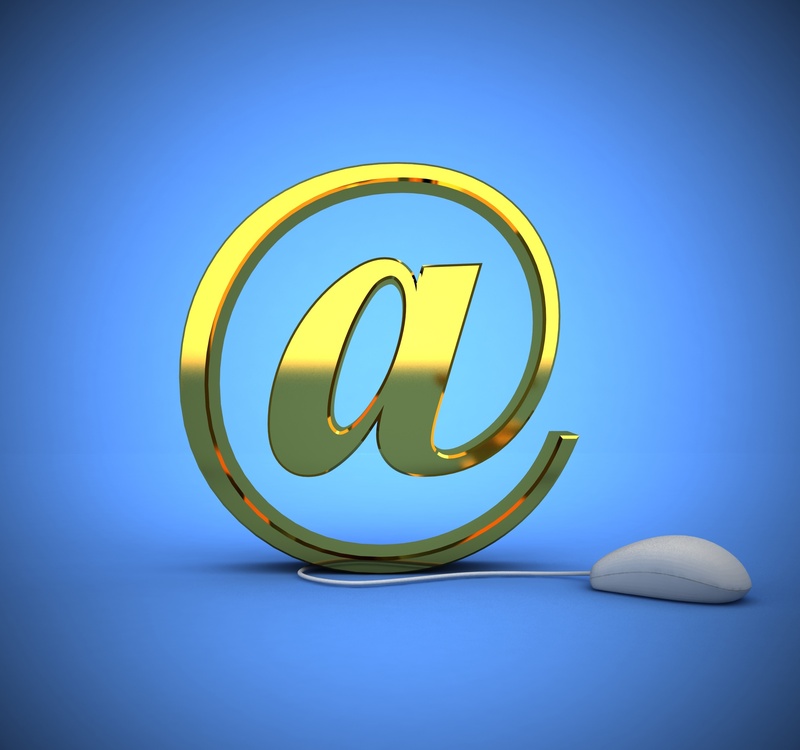 How do you know if your email converts well? How many people opened up your email? How many clicks did you receive? Wouldn’t it be great to find out that version 1 of your email converts 10% better than version 2? That would make a whole lot of difference to your bottom-line. In GetResponse, you are given the option to turn on tracking. It’s also a good idea to make sure your email is in HTML format as that’s the only way for tracking to work, plus you can use anchor text links as calls-to-action such as ‘Go here to find out the one secret’. 3) Segment your list. Autoresponder services normally give you the ability to create unlimited campaigns/autoresponder. Create a list for general subscribers, affiliates and customers. Using this type of segmentation, you can be sure each list is highly targeted. For instance, if you have a new product that comes with resell rights, you can email out to your “Resell Rights” subscriber list and you’re guaranteed to receive a lot more sales that way. Ultimately, you’re giving your subscribers exactly what they want. Use these three tips today to become a better online marketer and increase your profits. Even if you’re already implement a couple of these tips, do more of it. 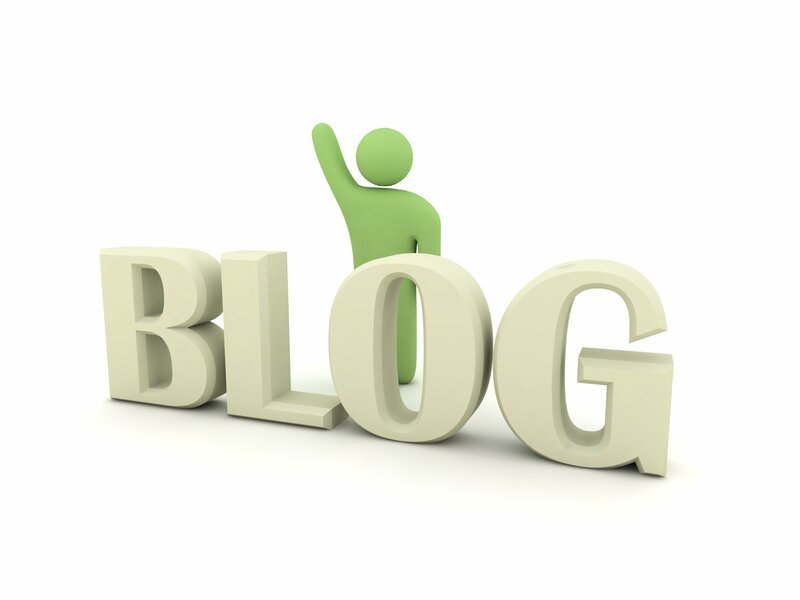 With so many things to think about when blogging, it’s no wonder beginners find it difficult to even start. When it comes to blogging, you need to think about installing, configuring, designing, posting, getting traffic, podcasting, SEO and more. Sure enough that having lots of mediums and methods of optimising and diversifying your marketing efforts is great, but it’s not necessary… especially if you’re just starting out. I would not focus on too many methods, tactics and mediums at the same time. That’s my biggest advice. For instance, if you just started a brand new blog, focus more on producing and publishing the content rather than worrying too much about SEO and which keywords to use in your posts. As they say, content is king. You don’t need to do podcasts as well. Yes, it is great for reaching more people but again it’s not necessary. My biggest tip is to really focus on one thing at a time. This goes for everything you’re doing. If you’re writing content, just write the content. If you’re working on a new ebook, just get that ebook done. If you’re focusing on a certain advertising method, focus on that first and put in a lot of effort in that first before diversifying and finding more methods. Spreading your focus only slows down everything. You’ll see results a lot slower, too. I think knowing exactly what you’d like to achieve is drastically going to speed up your success. You’ll filter out all the hype and only attract things that are aligned with your goals. So step 1 is to know exactly what you want to achieve first. All the other steps will fall into place. Don’t worry too much about feeling like you have to utilize a lot of these methods. Build the foundation first and once it’s built like a tall, strong skyscraper, you can start diversifying. Found this cool infographic by Ladders, hope you all enjoy it! Every business, no matter what they offer, direct people to their offer in hopes they will buy. Directing people to an offer is known as marketing. Affiliate marketing is directing people to an offer in exchange for a percentage of the revenue when something is purchased. Affiliate marketing is similar to referral marketing in that both refer people to an offer. However, affiliate marketing, most widely known on the Internet, generally goes beyond referring the people you know. Although more people are familiar with the affiliate marketing done on the Internet, any marketing that shares in the revenue of a sale is thought of as affiliate marketing. The percentage of sales (commission) paid to an affiliate marketer is generally agreed upon in advance via an affiliate marketing agreement. Affiliate marketing can be done in many ways, and although most commonly associated with the Internet, affiliate marketing can include offline marketing efforts such as event promotions, direct mail and door hangers, to name only a few. Typically, affiliate marketing is done through a blog, website, article or advertising. A blog or website, for example, can be developed for marketing to a specific audience, such as golfers, to direct people to a very specific offer, such as golf clubs or golf lessons. Articles are distributed that contain active links to the affiliate marketing offer. Advertising can be purchased to target buyers searching for something specific. Key factors to consider when choosing an affiliate marketing offer include: percentage of the sales revenue received as commissions, high perceived value-to-price ratio, and the conversion rate of the offer. If any of these three are low, you won’t be able to generate enough income to fire your boss. Common commissions for affiliate marketing can range anywhere from 5% to 10% and even go as high as 25% in some cases. Digital products such as those sold through Clickbank, typically have higher commissions. Commissions range as high as 50% to 75% on digital product offers because the same product can be sold over and over, but the price range is generally lower so you would need A LOT of sales in order to fire your boss. The higher the price, the fewer sales needed, but if the value-to-price ratio is low, the conversion rate (see below) will be much lower as well. The ultimate is to direct people to a high priced offer with an even higher perceived value. For example, an offer perceived as being valued at $8,000 but sold for $900 has a high value-to-price ratio. Just saying something has a retail value of $8,000 doesn’t give it a perceived value of $8,000. The buyer sets the perceived value in their mind. A conversion rate is the percentage of people who make a purchase, once they see the offer. Conversion rates depend to a large extent on how well an audience is targeted. For example, offering steaks to vegetarians will have a low conversion rate, while offering a cold beverage on a hot day is likely to produce a higher conversion rate. Again, the value-to-price ratio must be good in order for the offer to convert. Offering a cold bottle of water for $700 would typically be perceived as too expensive for the value. But, if the offer were given to someone swimming in money but dying of thirst, the perceived value, and therefore the conversion rate, would likely be higher. Conversion rates are also dependent on the company’s ability to “make the sell” when the offer is being considered. When considering an offer for your affiliate marketing efforts, review the offer for appeal and professionalism. If you direct people to an unprofessional website, you will be wasting your time. Often you can determine very quickly whether or not you would include them in your affiliate marketing efforts. Conversion rates for offers online typically range from 3 to 5% which is considered good. 7 to 12% is considered great, while 15 to 25% is considered exceptional and anything higher is rare. Of course, if you’re set on firing your boss, you’ll want to keep as much of the commissions as possible on offers that over-deliver with a high perceived value-to-price ratio and a high proven conversion rate. These type offers are few and far between, but do exist. Taking the time and making the effort to seek them out is well worth it. As an Affiliate Marketer, Shelia Norling helps people enjoy the lifestyle of their dreams through a simple and highly profitable means of affiliate marketing that pays 100% commissions with proven conversion rates over 40% due to the extremely high value-to-price ratio. Learn more at www.MyAffiliateMarketing.biz Watch the video in the sidebar. Currently paying 100% commissions in nearly 300 countries worldwide. A few days ago Sterling Valentine, founder of MarketerTalk.com interviewed me via Skype in two sessions featuring tips on internet marketing success. Please leave your comments for the sessions below! It’s the next best thing to becoming a high flying super hero overnight. If you’re into stuff like Law of Attraction, Manifesting and Creating Miracles… then this web site is most definitely for you. I learned more things about myself and my reality than I ever knew existed. It’s deep, exciting stuff you won’t forget! Enjoy this… I certainly did. Click Here to check it out & Grab A Copy of Uberman Today! Today I’d like to invite you to join my new membership site: ViralinBox, a brand New Email Service Provider (ESP) specifically designed for Internet professionals like you & me! your More4you Blogletter Bonus (Valued at $60)! ViralinBox is an email solution which comes with a built-in list builder, a mailer system, as well as text and banner advertising tools, an affiliate program that pays up to 55% commissions… my business partner and I have spent over 18 months and over $100,000 in the development of this site, and I’m sure many of you will Love the features it comes with! ViralinBox – A Revolutionary Email Solution! With ViralinBox you can have multiple email addresses on the same account, which means you can use a new email address every time you join a new program or make a new business contact. This way you don’t need to set up any filters or labels to organize your emails… The system does it for you! This also means that you can permanently stop spam with the push of a button. No need for unsubscribe links or requests! Email 30,000, 60,000 or even up to 120,000 Every Month! ViralinBox is also jam-packed with marketing features including a list builder and a mailer system that allows you to send your offers you up to 120,000 random members every month! This is Huge, highly targeted exposure for your offers! You can either buy or earn Mailing Credits (by viewing other people’s offers)… which means you can send your offers to other members for no extra cost! When joining, make sure you take a close look at the one-time offer for our Platinum upgrade. It offers great value for money! With the Platinum upgrade you will be receiving 1,000 Mailing Credits every single day, and with the Diamond upgrade 2,000 Mailing Credits ever day. You will also get a lot more storage space for your emails, and plenty of other upgraded features and benefits. ViralinBox Bonus: 20,000 Advertising Credits, FREE! If you join ViralinBox through my affiliate link and upgrade to Platinum or Diamond, you can claim a HUGE Bonus I created for More4you Blogletter Members only: 10,000 Text Ad Credits and 10,000 Banner Ad Credits! This is your ads showed 20,000 times to fellow ViralinBox Members! Remember, most ViralinBox Members are Internet professionals so if you advertise products or services targeted to this market, you’ll make a killing! I use ViralinBox myself every day… and have had great feedback from existing members and partners! If you have any questions about ViralinBox, feel free to leave a comment below! Click here to join now… See you on the other side! Hope you enjoyed this fourth episode of “The Ocean of Internet Marketing …follow the journey from small to big fish!”. The next episode will be published next week. Also… check out this small teaser for South-East Park. Hope you enjoyed this third episode of “The Ocean of Internet Marketing …follow the journey from small to big fish!”. The next episode will be published next week.